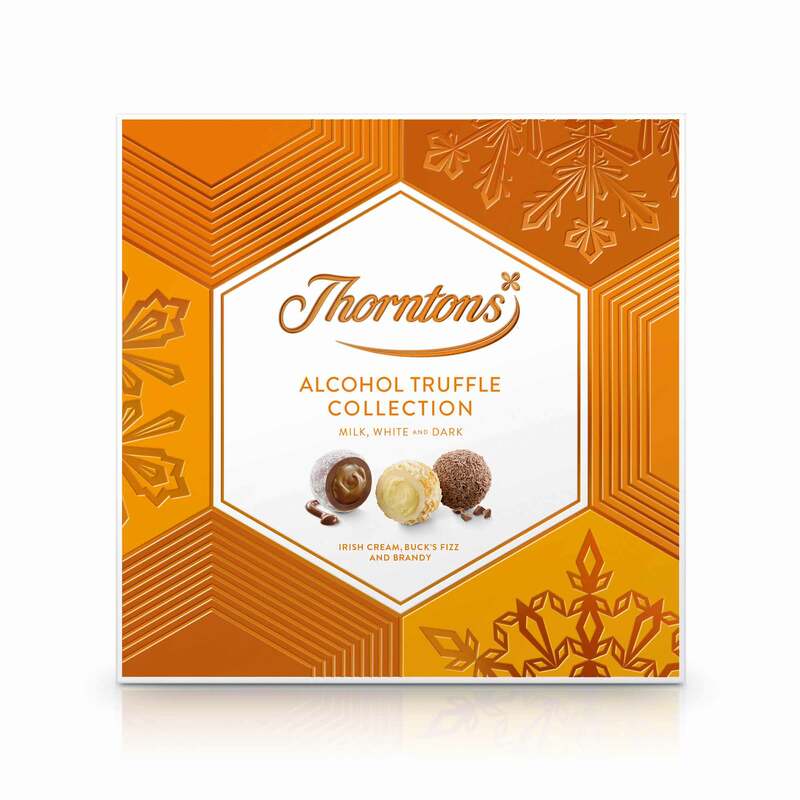 Christmas tipples done the Thorntons way! 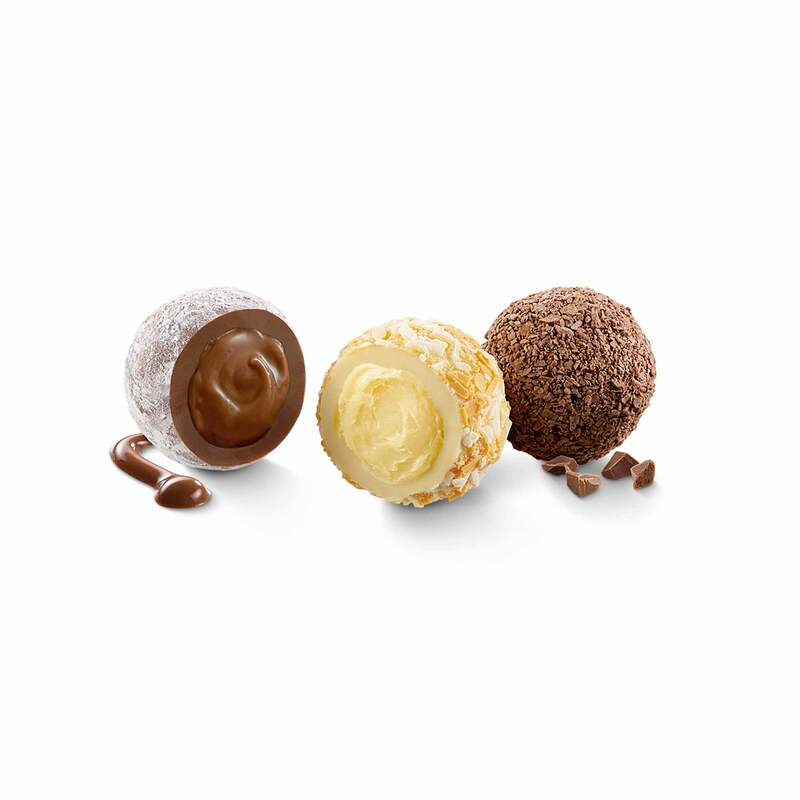 Celebrate with a sweet Buck’s Fizz Truffle, relax with an Irish Cream Truffle and indulge in a rich Brandy Truffle, all coated in finest Thorntons chocolate and elegantly finished. Forget bringing a bottle - the brilliantly boozy Alcohol Truffle Collection is an extra special gift to take along to any celebration this festive season. Or perhaps you fancy treating yourself to a box of chocolates that’s just for grown-ups? Either way, these chocolate truffle versions of all our favourite festive drinks will make it a very merry Christmas indeed! Sugar, cocoa butter, dried whole MILK, cocoa mass, alcohols (5%) (irish cream liqueur (contains MILK), brandy, neutral spirit, marc de champagne), water, palm oil, dried skimmed MILK, invert sugar syrup, humectant (sorbitol), concentrated orange juice, MILK fat, fat reduced cocoa powder, emulsifier (SOYA lecithin), lactose (MILK), stabiliser (invertase), thickener (pectin), flavourings, colour (paprika extract).